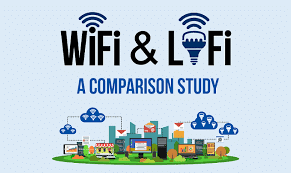 In today’s global environment, WiFi vs LiFi it is very arguable which one is better.However, WiFi is a standout among the most favored approaches to access the internet nowadays. This is because it has turned out to be particularly well known in the later past and is accessible in many parts of the world. A wireless adapter usually inserted in a computer for this connection type to be accessed with ease. A wireless router that is properly configured does the job of internet connection as it acts as a HotSpot. Users can thereafter utilize relevant software installed in their gadgets to request and access the wireless connections from the HotSpot. Well, that seems amazing right ? Nowadays WiFi, known as wireless fidelity (802.11 networking) in full, is accessible in numerous places like airports, hotels, libraries and even homes. The transmission frequencies usually range between 2.4GHz (short distances) and 5GHz (Long distances) and is reliant to the data amount transferred on a particular network. One of the most significant benefits of WiFi is its ability to perform irrespective operating system in a particular gadget. So which one would it be WiFi VS LiFi ?. It is clear already we are all familiar with WiFi. Well, keep reading to understand even more about both connections results might surprise you. In the transmission course, the wireless adapter converts data into a radio signal that will be transmitted to a decoder. Then, the decoded data will pass through an Ethernet cable from the router (the decoder) into the internet. Likewise, the same coded data from the router via the internet transmitted as a radio signal can be received by a PC adapter. Today’s laptops normally have a built-in wireless adapter to access the feature. Otherwise, you can purchase an external wireless adapter and comfortably plug into your USB port or PC slot. For a long time, we have generated light for basic illumination purposes in homes, streets, offices and other places. However, now, a new use has paved the way for LEDs, making it not useful for light provision but also for communication purposes. As recent studies reveal, LEDs can provide wireless communication through linking a smart device or a PC to the World Wide Web. LiFi, or light fidelity, is essentially an optical wireless network communication framework. Light Rays emanating from either Infrared (IR), Ultraviolet, or visual extent Region controls the Li-Fi system. The visible light frequency is the optimal frequency for data transfer in this system. Utilization of visible light increases LiFi bandwidth transmission capacity by hundred times. With an incorporation of a small microchip to the LED, it gains the ability to operate as a wireless transmission gadget as well as an illuminating device. Whereas WiFi utilizes radio signals, LiFi utilizes light to transmit data. Well, we all know from the scientific classes that the light travels faster than the sound. 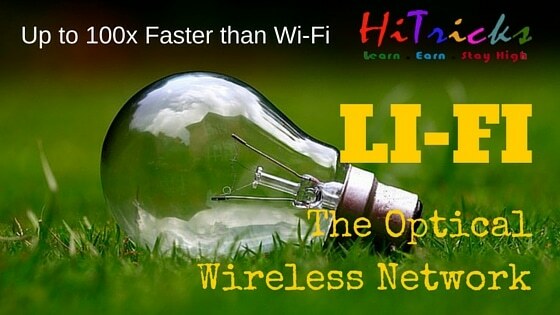 Hence, the LiFi is ultra-fast compared to WiFi with a speed of 1GB which is advantageous. This incredible ability makes it hundred times faster from a speed perspective, which is splendid. After carefully examining the above two technologies, it is quite evident that the new LiFi technology is set to surpass WiFi shortly. It requires a simple hardware modification to obtain the faster data rate making it an ideal alternative connection. Currently there are companies, such as Lucibel a french company with offices worldwide one of the best for its lighting innovation.The new way of connecting to the internet is closer than you think.